The casual design of the Liberty 3 in. Satin Nickel Decorative Spoon Foot Pull is a perfect accent for contemporary cabinetry or furniture. It features a 3 in. center-to-center, rear-mount design for easy installation. The Liberty Chrome II 3 in. Satin Nickel Notched Pull features distinctive lines and a beautiful finish to add contemporary style to your cabinets or drawers. Update your cabinet hardware to give any room a new look and feel. Mounting hardware included for easy installation. 3 Decorative Spoon Foot Pull, 1 per package The casual design of the Liberty 3 in. 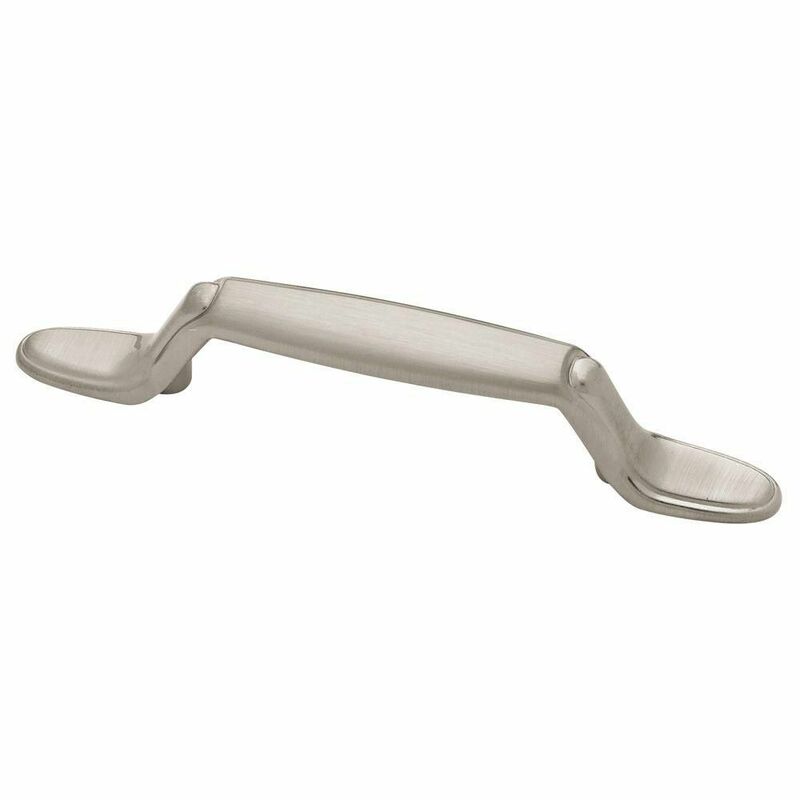 Satin Nickel Decorative Spoon Foot Pull is a perfect accent for contemporary cabinetry or furniture. It features a 3 in. center-to-center, rear-mount design for easy installation. 3 Decorative Spoon Foot Pull, 1 per package is rated 4.6 out of 5 by 10. Rated 5 out of 5 by Bob from They fit well and complement the kitchen cabinets.... They fit well and complement the kitchen cabinets. Rated 5 out of 5 by MariWari from Very nice and very, very easy to install. ... Very nice and very, very easy to install. Rated 4 out of 5 by Ron Jack from Hinge is exactly what I expected. No problem with the product. But despite paying delivery to Home Depot up front on the original order I had to pay an extra $43.18 in delivery charges to UPS. My emails and phone calls to Home Depot customer service were a complete waste of time. Not happy. Rated 5 out of 5 by Marwan from Good price & style .... Good price & style . Rated 5 out of 5 by Srey from Great product, good price was not enough cabinet pulls in stock so I ordered all at one time. Product was delivered to my home, and came at promised time. Sales person was very helpful. Rated 3 out of 5 by baking from basic pulls These are nice looking pulls yet they are basic and lower end. They are not solid but curve inward on the back side so sometimes they actually hurt my fingers when I pull heavy drawers open as they dig in with their edges. Rated 5 out of 5 by DoubleEMom from Got these to replace all the handles in our house. I like that they have a lot of room for my hand. Also, they look great with the 3in Liberty backplates. The picture makes them look a little shiny, but they are definitely satin nickel in real life. FYI, If you need several, check out the 10 pack for a dollar off per handle. Rated 5 out of 5 by Mamie76 from Beautiful & A Great Value I used these on my kitchen cabinets. The quality is wonderful and I love the shape and finish. They look lovely on my cabinets and the price was great.